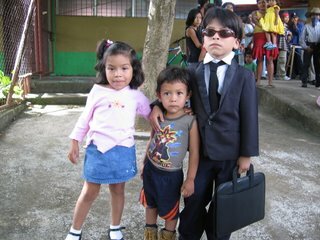 I spent the summer of 2005 working at an elementary school in Nicaragua. I lived next door to the principal of the school with the nicest family ever. The school would LOVE to have another volunteer or string of volunteer teachers. I taught reading to students who needed extra help, but what you would do is very flexible. If you or someone you know has thought about working/volunteering abroad, consider being in touch with me and I would really like to help arrange something in Nicaragua – two weeks minimum, ideally a month or more. This is a great alternative to paying some organization to arrange a job/housing. The cost involves a small donation to the school (flexible $100-$200ish), $50-$60/week room and board, and your plane ticket. The school is especially interested in someone who can teach dance or something else artsy, as they certainly cannot afford teachers to do this and the children love it. 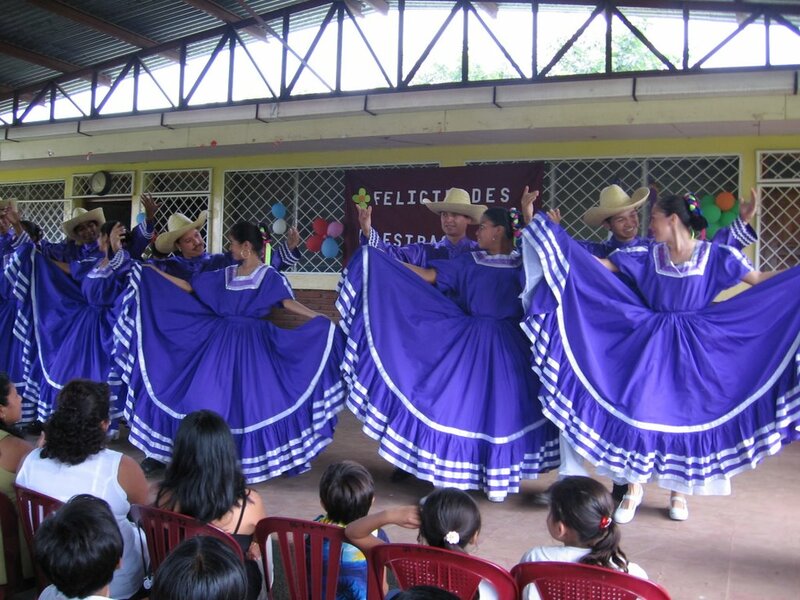 There is also the opportunity (for small fees) to take dance lessons in traditional Nicaraguan dance, Nicaraguan cooking lessons, to get sewing lessons, or Spanish lessons. There is also the possibility to work with a domestic violence prevention program, or to design some other creative or flexible option via the connections I have and through friends of friends. I am visiting in March and will make most arrangements then, but all involved people have email and things can also be arranged that way. You do not need to speak Spanish – but must get some basics before you go and be willing to learn on the job. My Spanish was very average/basic and it still went great. I learned so much and found the people to be so kind and flexible. This is most ideal for someone who is very flexible and doesn’t need a parent-like organization to support them through the travels. I did not find safety to be a problem – basic precautions do the trick. Please email if you are interested, or would like to discuss more, and feel free to share with folks you think might be interested. I will want to check two references just to make sure I don’t hook my host family and the school up with someone shady. 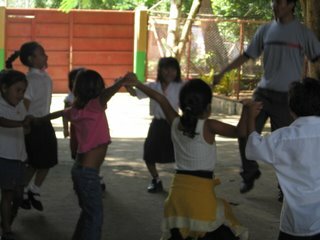 The school is in Diriamba (about 40 min. 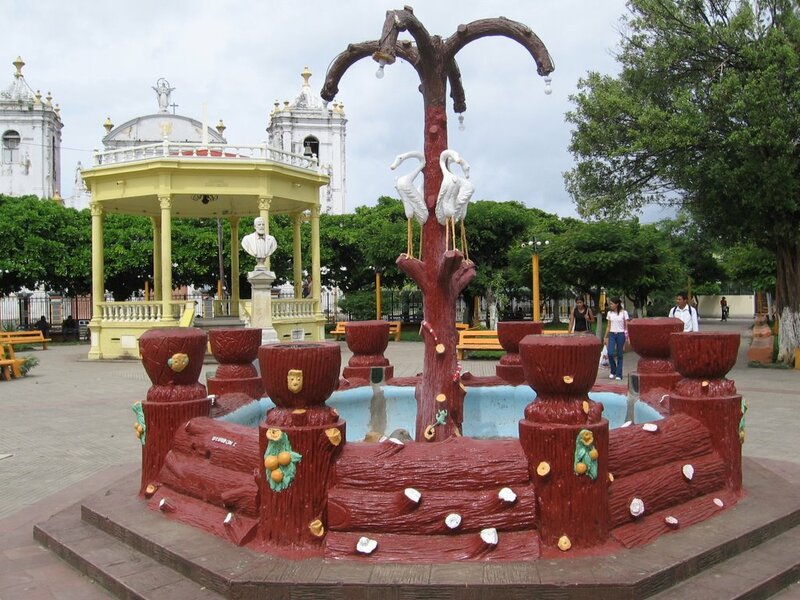 from Managua) and I lived in Jinotepe. 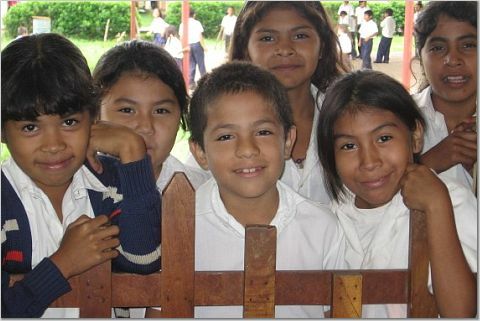 You might have the option of living in Diriamba or Jinotepe, depending on how things go and what your preferences are. Email is elizabeth199 at gmail .com. 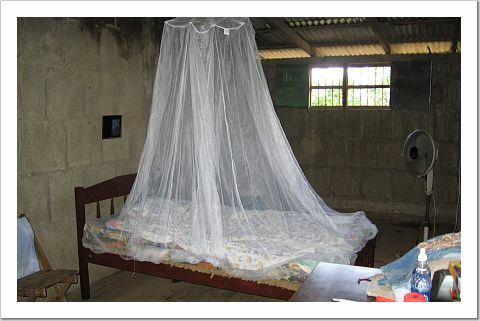 This was my wonderful room in Jinotepe. It was huge and by the end I didn’t even notice the bugs and did away with the net. This is Ballet Folklorico. Amazing dancing and a very big thing in Jinotepe. You can get lessons if you go. You know you want to wear one of those outfits. This was some sort of festival or carnival where the children dressed up. I thought this guy looked pretty slick. This may not immediately look hilarious, but it is. They start teaching children how to do traditional dancing VERY young. Like way before they can possibly remember particular moves. Watching them try to do these dances was the highlight of my day. It would definitely win on America’s Funniest Home Videos. 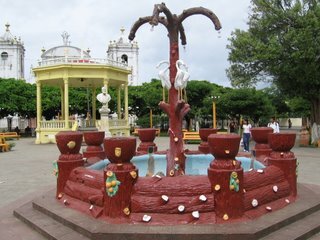 This might be another “you have to be there” funny thing, but this is a PLASTIC fountain in the middle of a very old city called Rivas. I just cannot imagine what would inspire someone to install this plastic ugly fountain across from a very old church in the middle of a very old town. Notice that it is plastic and meant to imitate wood. And see the flamingo/swan hybrid birds in the middle? I will post more pictures sometime. I have pretty ones too. Not just funny ones. This entry was posted on Thursday, January 11th, 2007 at 1:32 am and is filed under Nicaragua, pictures, social justice. You can follow any responses to this entry through the RSS 2.0 feed. You can leave a response, or trackback from your own site. subject which has been written about for decades.